"Daddy will never leave you because he loves you so much". These were the words that kept echoing and re-echoing in Enyonam's mind. She recalls vividly the enjoyable moments she had with her father, the long-lasting memories they created together. These are memories, as the adjective suggests, "long-lasting"... they've refused to leave her mind. For so many years, she's tried so hard to understand why her father left the family, if she could get to know just one reason why, she'd be just fine, but no, she couldn't find any reason. Each time she remembers the long night strolls, the plays they watched at the theater, the visit to family and friends, how he bathed for her, taught her to act like a lady, the books he bought for her including how he disciplined her, she weeps. She will feel betrayed, rejected and abandoned by the man who promised to stay. It was difficult to get over it but she prayed and hoped for a time when she'll be thankful rather than anxious about her situation. Jesus had had Judas with him the whole time, He'd called him friend and loved him, He'd trusted him, even with their money but still, Judas knowing how much love Jesus had for him, allowed himself to be the devil's tool for destruction. Sad, isn't it? But here is the case where Jesus knew it would happen, so he was obviously cushioned for it. 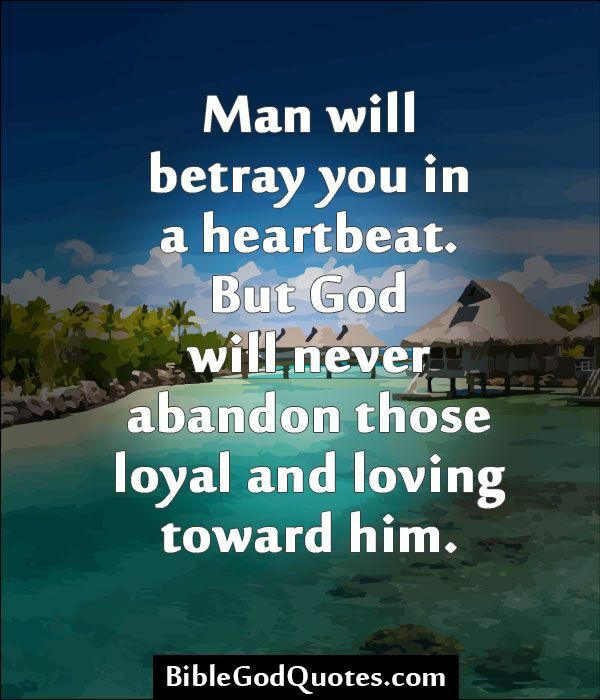 So many times, we get betrayed by friends and even family! 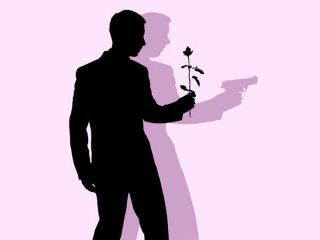 Unfortunately, in our cases, more often than not, we don't have expectations of betrayals from the very close people and so when it happens, it knocks us down really hard. If only we can tell the people who'll betray us, we'd prepare or better still prevent it! 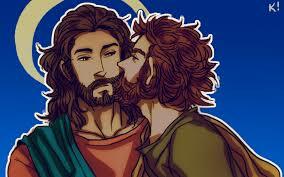 Now here comes the mind blowing part; what if Jesus had prevented Judas from betraying him? Will there have been redemption and salvation for mankind? I doubt, thus, we'll have been lost, far away from God, up till now. So shall I say whatever bad thing happens, or people do to us is good in disguise? Well yes, if only we'll be patient enough to see it. It might not be in the short run, but in the long run, all things will work together for good if you trust and love God. Reading through the scriptures one day, she chanced on the Bible verse that says "...even if a mother forgets her child, I'll never forget you" (Isaiah 49:15). From then on, she began to be healed of her brokenness, she started to pray for her father, that God forgives him. Enyonam can say for sure that, her father's neglect, though has brought hardships, has also brought calm and peace, remembering how often he'd come home late to fight with her mother, and sometimes beat her at the least thing. 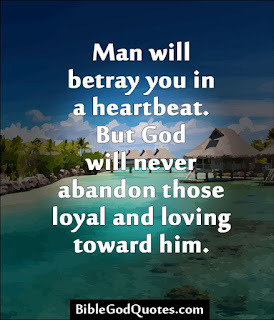 Friends, if family and friends will betray you, abandon you and hurt you, remember, God won't. For he has engraved your name in the palms of His hands. If you'll surrender it all to Him, He who knows tomorrow, will not prevent trials to come but will cushion you with grace to overcome them all.